Free shipping. Buy direct from HP. 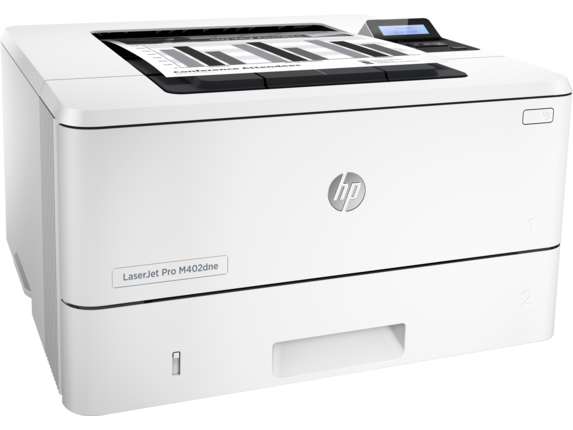 See customer reviews and comparisons for the HP LaserJet Pro M402dne. Upgrades and savings on select products. Easily print from a variety of smartphones and tablets—generally no setup or apps required.Easily set up, print, and share with built-in Ethernet networking. Your business is built to be a cut above the competition, and so is the HP LaserJet Pro M402dne. In addition to its great security features, this printer is designed to go from sleep mode to printing professional pages faster than other devices in its class, making it the total package. With speeds of up to 40 pages per minute, this device is built to quickly get you from start to finish. These speeds are faster than competing printers, too, you don't have to worry about whether you're choosing a model built for efficiency. Two-sided printing doesn't have to take forever, either. 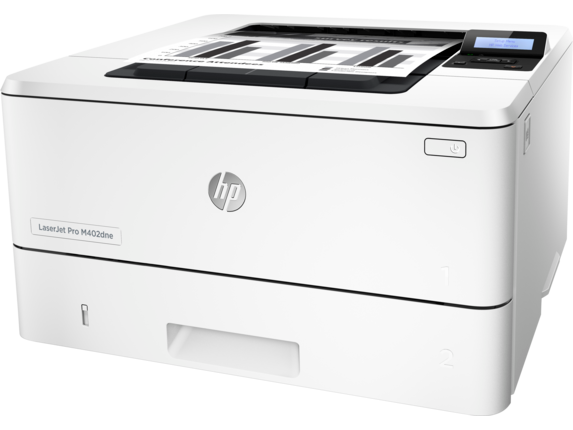 With the HP LaserJet Pro M402dne, you also get automatic duplex printing that's faster than the competition printers. That means you're getting proven speed even when you're printing on both sides of a page. You'll love the quality you get from HP FastRes 1200 resolution technology when you see how it brings your prints to life, too. When you're in a rush and away from a computer, you can use a compatible app to print directly from your smartphone or tablet with a few easy steps, so you're never restricted when you need to get things done. And with additional security features like password protection and secure browsing, your device and business can stay safe. A monthly recommended print volume of 750 to 4,000 pages means you have the ability to take on big jobs without worrying about whether your printer can keep up. And when your office is printing every day, our HP 26A Black Original LaserJet Toner can keep you going, so you're never close to running on empty. 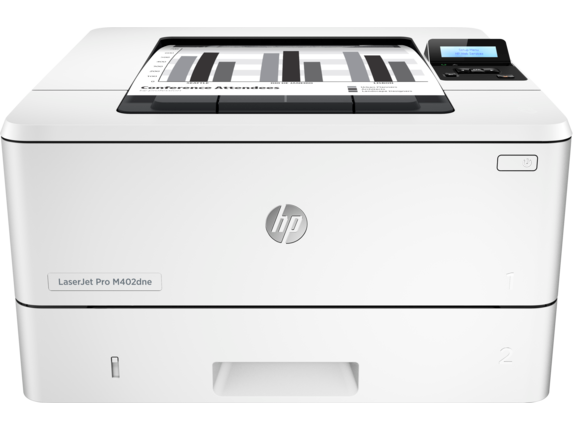 If you want to cut back on costs, you've found the perfect printer in the HP LaserJet Pro M402dne printer. When you pair the built-in HP JetIntelligence technology with an HP toner cartridge, you get a more efficient device that can produce 30% more pages, which then adds up to big savings. And when you want toner that can last, our HP 26X High Yield Black Original LaserJet toner cartridge can help you save up to 25% more when compared to a standard cartridge. 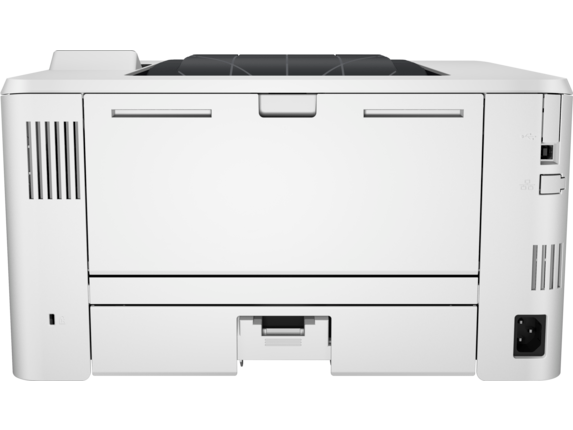 In addition to getting great savings on toner that keeps your printer up-and-running, you’ll be glad to know the HP LaserJet Pro M402dne is an ENERGY STAR® qualified device that offers efficient, cost-cutting energy use. To get ahead, it can be as simple as having the right tools to keep your business growing. For a printer that’s faster than the competition and the security your business needs, the HP LaserJet Pro M402dne is a tool built to keep your business running full speed ahead.